Successfully Added Digital Camera, SHARP CCD 8.0M Pixels, Optical Zoom: 3X to your Shopping Cart. 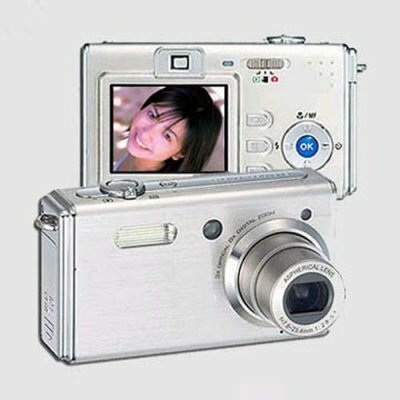 Well rounded and aluminum cased Digital Camera, with many excellent features. These include multiple modes for scene and color mode, macro-focus, optical zoom 3X - digital zoom 8x, and included rechargeable Li-ion battery. A great buy at a great Chinavasion price. Note on Interpolation: Please note that this camera takes images in sizes equivalent to 8.0 megapixels. This is through a software resizing process on the camera called interpolation. The image sensor of this camera has a native resolution of 4.0 megapixels.